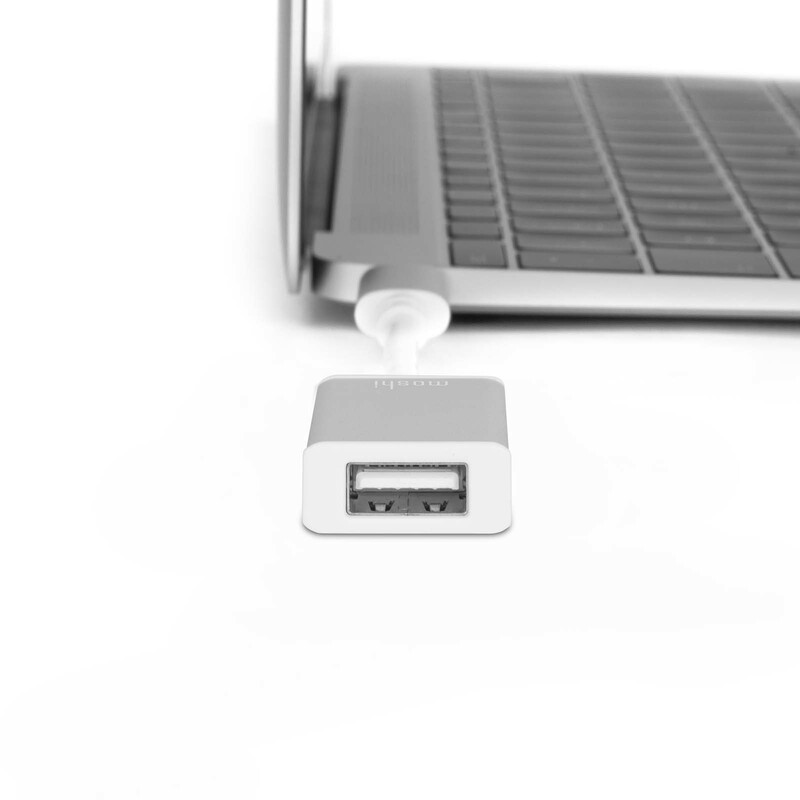 An all-puppose adapter perfect for connecting a legacy USB Type-A hard drive, keyboard, mouse, printer, and much more to your USB-C laptop like a MacBook or MacBook Pro. Easily connect any USB device (external hard drive, USB hub, printer, etc.) 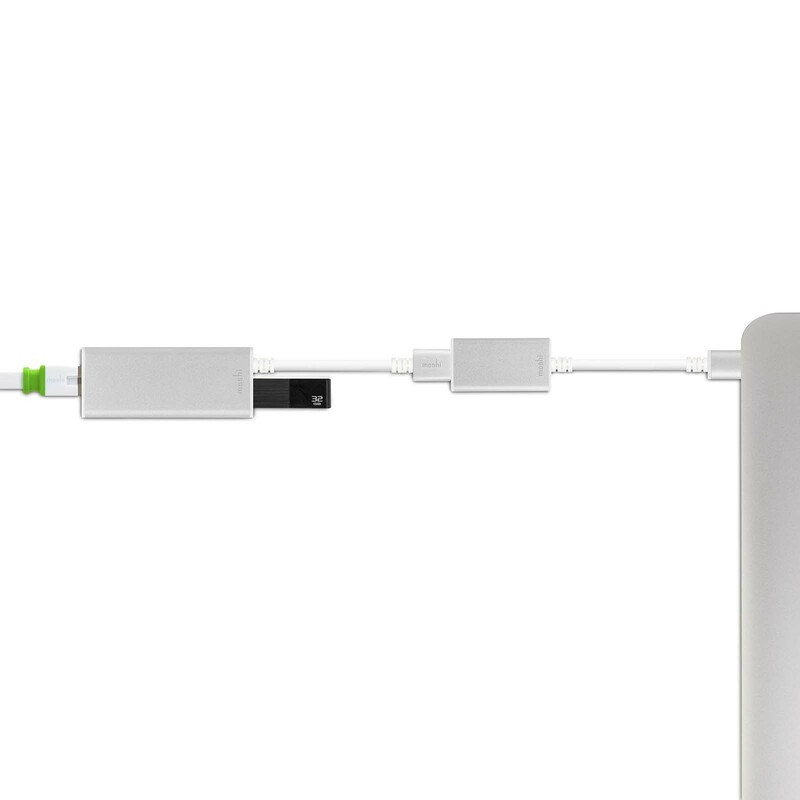 to your MacBook with Moshi's USB-C to USB Adapter. 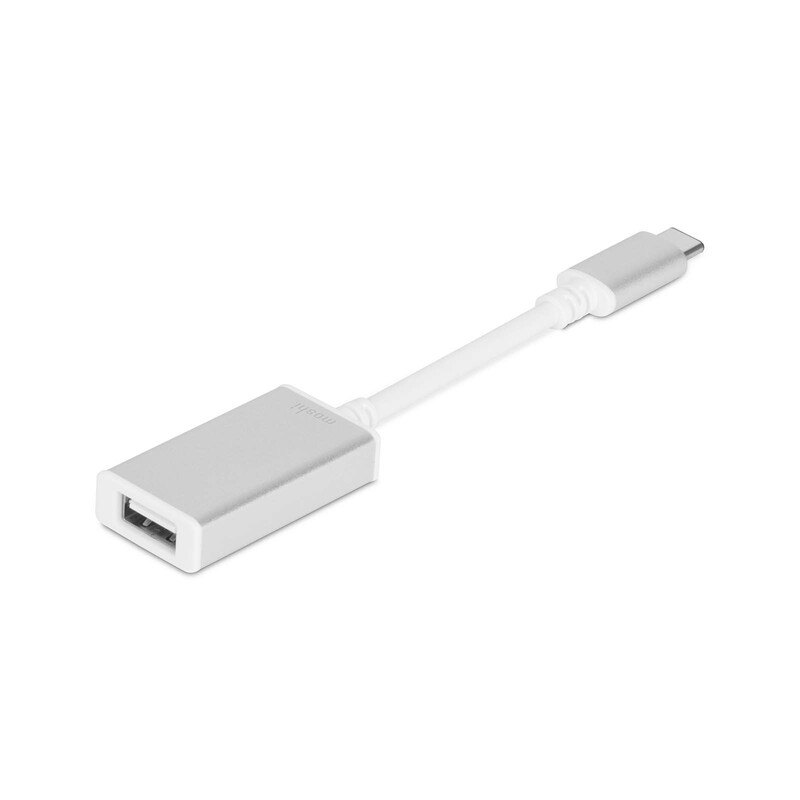 It is compliant with the latest USB-C specifications to support data transfer speeds of 5 Gbps and up to 3 amps of power output through its reversible USB-C connector. 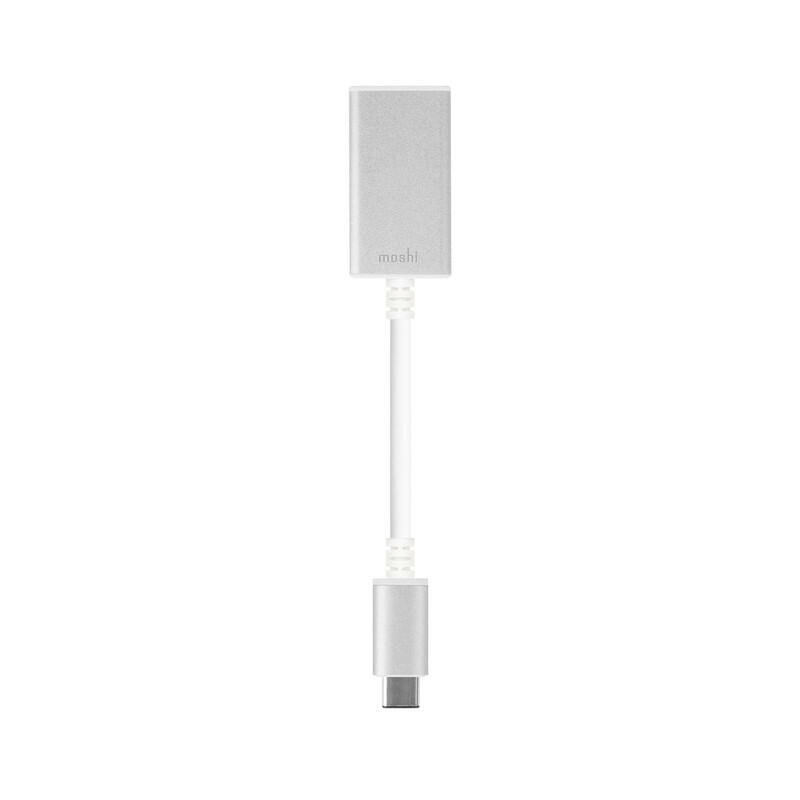 The adapter's aluminum housing protects against electromagnetic interference to ensure reliable data transfer even at the highest speeds. 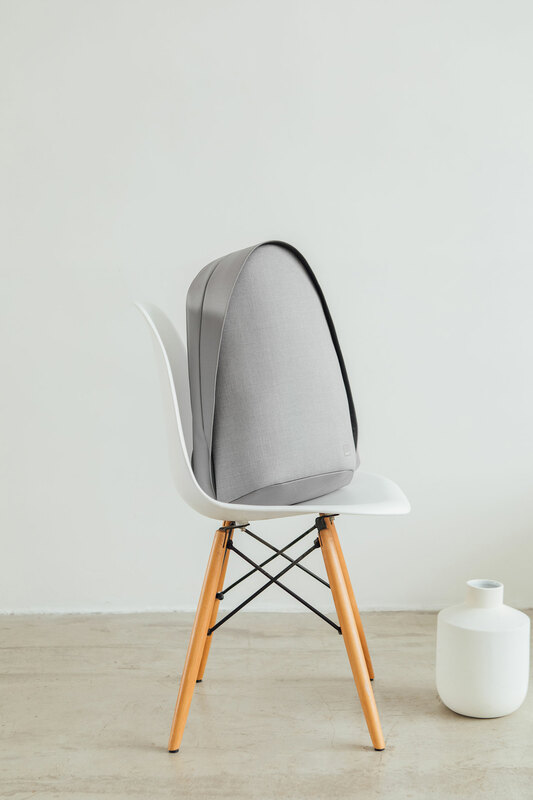 Small and portable, you can also plug in a USB cable to charge/sync your iPhone, iPad, or iPod while on the go. 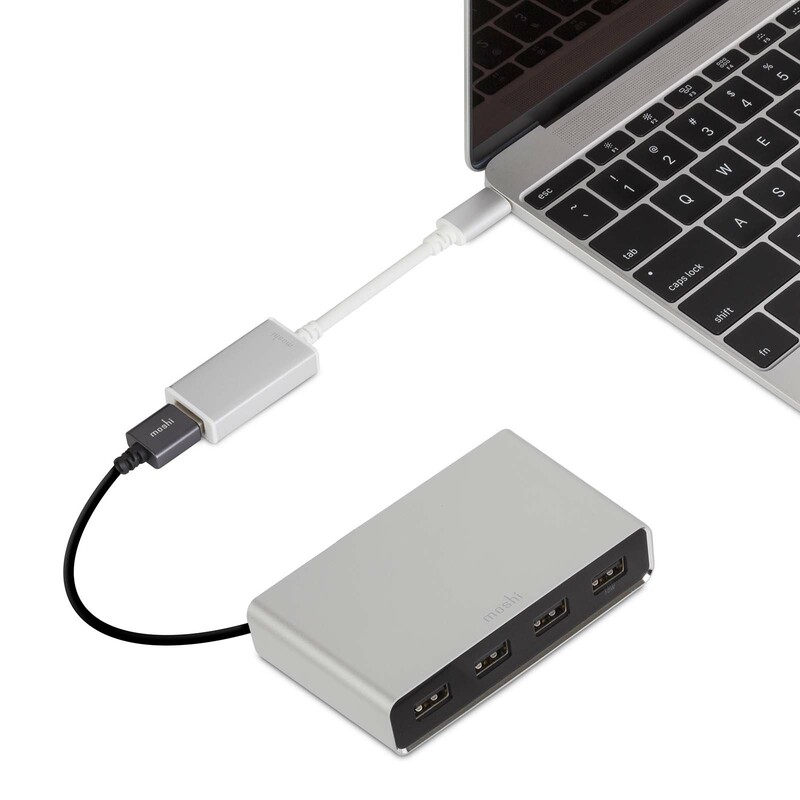 Connect any standard USB device (hard drive, hub, printer, and more) to your MacBook's USB-C port. USB 3.1 Gen 1 supporting up to 5 Gbps data transfer speed and 3 A power output. Anodized aluminum casing to minimize electromagnetic interference.